We are always on the lookout for new trends in green building materials here on the CIMA blog. Last month the story broke about an innovative new product called “Nanowood” that caught our attention. Liangbing Hu, a materials scientist and engineer at the University of Maryland in College Park, and his team are developing this process that removes all the lignin from wood. 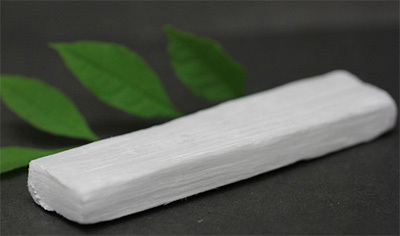 According to the findings from the journal Science Advances, removing the Lignin turns the woody material pure white. This allows it to reflect light rather than absorb it and according to the journal report helps it block heat. Also, its structure is antisotropic meaning the fibers are parallel allowing heat to travel up and down but not easily cross them. Increasing wood based building products, particularly those with superior insulating properties, is a great way to reduce the carbon footprint of homes and buildings. Hu says he believes nanowood could be used for a wide variety of products from car manufacturing to building skyscrapers. Should nanowood emerge from the laboratory to mainstream market, we believe walls built with nanowood materials, and insulated with cellulose, could be a great combination for even more energy efficient homes with less impacts on the environment. Read more on nanowood in this LA Times article. Then leave a comment below to let us know what you think about this potential new green building product.